Durban’s International Conference Centre is a veritable engine room for the creation of jobs – over the past 11 years, the Durban ICC has been responsible for creating and sustaining over 93 000 jobs cumulatively. In the past financial year, a total of 11 024 people have been meaningfully employed as a result of the Durban ICC’s activities. In 2017, 7 991 people were employed directly and a further 3 033 people were employed indirectly as a result of events hosted at the centre. The Durban ICC is also pleased with its own financial performance for the year. During the fiscal the entity generated revenues of R173-million, which surpassed the prior year’s performance by R11-million. This was largely due to a significant growth in the number of events it hosted over the period which resulted in a 7% year-on-year growth in turnover, despite a stagnant economy and tough trading environment. 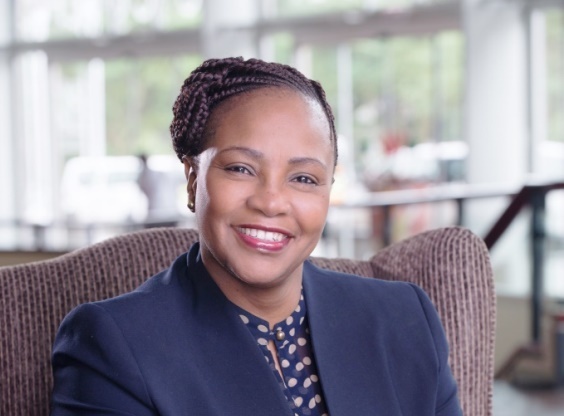 The company also showed a 30% year-on-year growth in profits, moving from R33-million in 2016 to R43-million this year and received a clean, unqualified audit for the fourth consecutive year. The Durban ICC which carries the name of Africa’s first Nobel Peace Prize Laureate, Inkosi Albert Luthuli, is gearing up to celebrate 21 years since its doors were opened on Friday 8 August 1997 by former President Nelson Mandela. The socio-economic impact created by the existence of the Durban ICC with support from various stakeholder groups resonates with the theme “21 Years of Changing Lives”. The award-winning venue has always played an active role in supporting community projects and especially those which invest in the lives of young people. It has hosted and sponsored programmes aimed at empowering youth in the hospitality industry. The Ikusasa School of Cooking, for example, has benefited hundreds of thousands of Rands raised through events hosted by the Durban ICC. This chef school provides the opportunity for underprivileged youth, who are either living in children’s homes or who come from disadvantaged families, to earn a culinary qualification and secure full-time employment upon graduating. The Centre also operates its Student and Graduate programmes, helping hospitality students gain necessary skills, knowledge and first-hand experience of the tourism industry. The on-the-job training programmes give these students a solid grounding in international tourism standards and five-star service excellence. 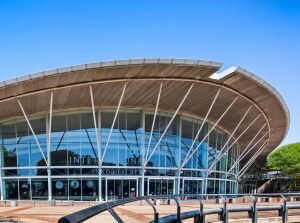 The Durban ICC has also been a major income earner – in the past fiscal year, the conference centre’s local, provincial and national contribution to the economy has been significant with R4,912,589,953 generated towards South Africa’s GDP, exceeding the target of R4.5 billion by 9.2%. The majority of this contribution directly benefited the KwaZulu-Natal Gross Geographic Product during the year to the tune of R 4,763,818,544. As a catalyst for socio-economic growth, the Durban ICC’s cumulative contribution to the GDP of KwaZulu-Natal over the past eleven years has been R32.6 billion whilst R34.4 billion went into the South African GDP. It is also estimated that the Durban ICC contributed R1 billion to indirect household income in 2017. The solid set of financial results achieved over the years and an uncompromising commitment to good governance and compliance as evidenced by the centre’s four successive clean audits contribute to the sustainability of the organisation. The Durban ICC makes a significant contribution to the tourism industry by attracting international delegates to South Africa. It is estimated that an additional 878 916 hotel room-nights were generated as a result of the centre’s activities in 2017. She said the leading conference facility has lived up to the prophetic words of Madiba when he said in his opening speech that in constructing the Durban ICC, the people of Durban had shown “foresight, determination and initiative” in creating a venue “that all South Africans can be proud of”. “The self-sustaining entity of the eThekwini Municipality which thrives on maintaining world-class standards reinvests profits into the facility to ensure it continues to remain the venue of choice for local and international visitors,” said Rakharebe.